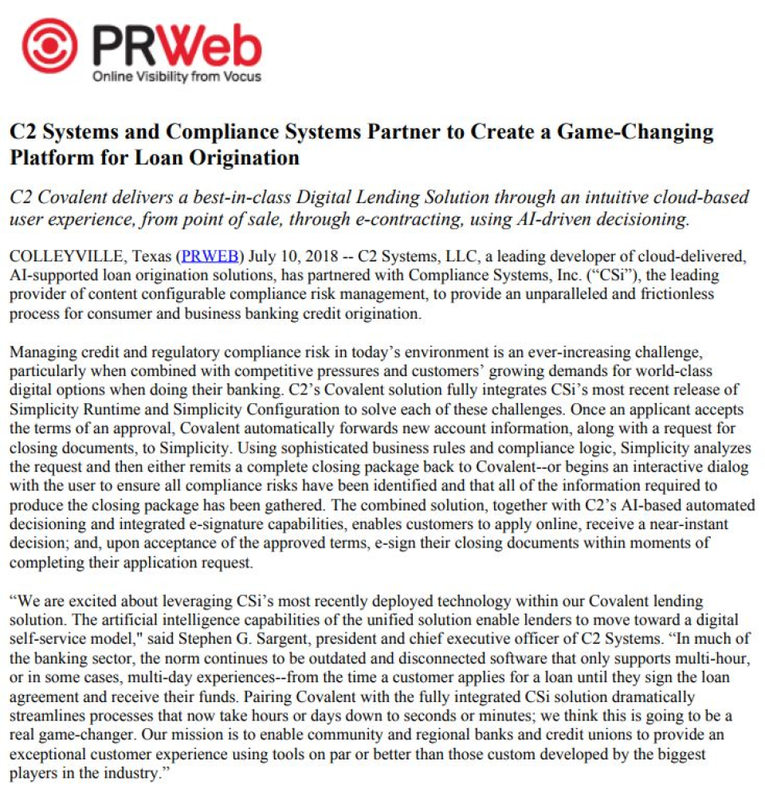 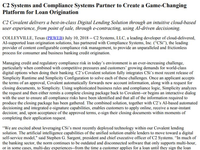 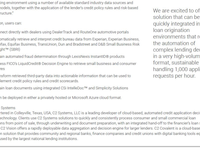 C2 Systems, LLC is a leading developer of cloud-based, automated credit application decision support technology. 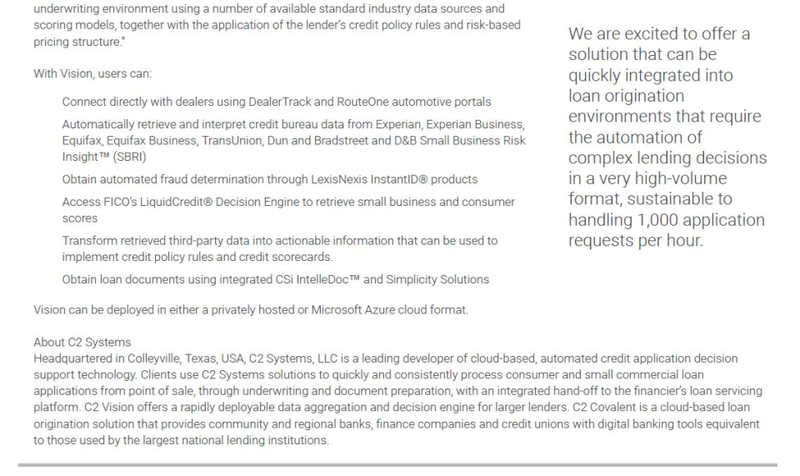 Bank and credit union clients use C2 Systems' tools to quickly and consistently process consumer and small commercial loan applications from point of sale, all the way through underwriting and integrated document preparation, with a unifying hand-off to the loan servicing platform. 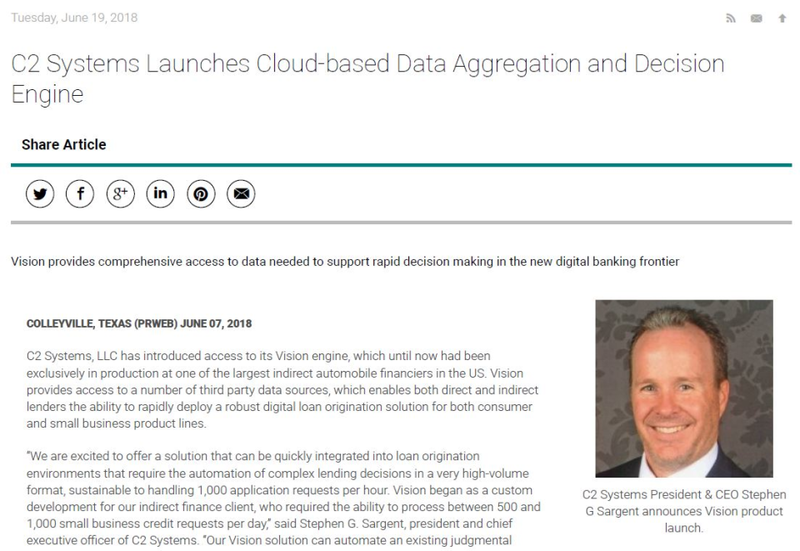 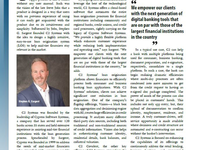 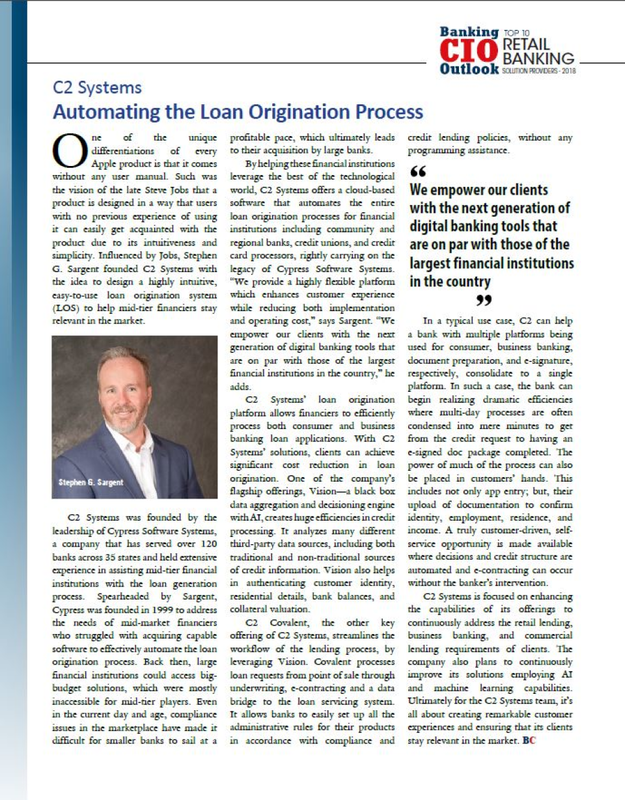 C2 Vision offers a rapidly deployable data aggregation and decision engine for larger lenders.